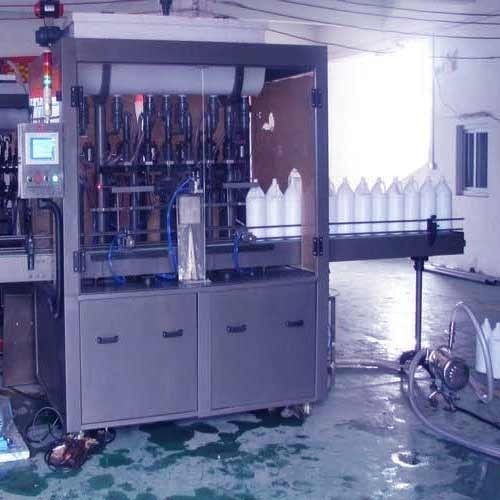 Agents Required – Worldwide To Promote Emerging Brand Multipack Machines in USA, France, Poland, Bulgaria, Saudi Arabia, Ecuador, Peru, South Africa, Egypt, Indonesia, UAE, Vietnam, Pakistan, Uganda, Philippines, Greece, Columbia, Malaysia, Nigeria, Ethiopia, Lebanon, Kenya, Kuwait, Sri Lanka, Ghana, Nepal, Ukraine, Bangladesh, Australia, Switzerland, Sudan, Russia, Yemen, Iran, Morocco, Malawi, Thailand, Tanzania, Canada, Belarus, USA Cyprus , UAE, Republic Of Congo, Canada, Russia, South Africa, Croatia, Nepal, Oman, Ukraine, China, Bhutan, Ghana, Yugoslavia, Nigeria, Netherlands, Vietnam, Thailand, Kenya, Iran, Malaysia, Bangladesh, Pakistan, UAE, Saudi Arabia, Monrovia, Philippines, Spain, Liberia, Iran, U.S.A, Canada, Germany, Italy, Jordan, Syria, Turkey, Kuwait, Iran, Algeria, Argentina, Bangladesh, Bangkok, Indonesia, Malaysia, Vietnam, Nigeria, Ghana, Malawi, Egypt, Ukraine, Nepal, Srilanka, Bangladesh, Tibet Lusaka, Egypt, England, Uae, Bahrain, Vietnam, Iran, Poland, Tanzania, Malaysia, Nigeria, Sudan, U.K., Italy, Thailand, Span, Kenya, Lebanon, Kingdom Of Saudi Arabia, Sudan, Botswana, Iraq, Thailand, Span, Mauritius, Ethiopia, Congo, Zambia, Namibia, Mozambique, Uganda, Yemen, Somaliya, Oman, Jordan, Turkey, Labia, Morocco, France, Germany, Ukraine, Turkey, Greece, Kazakhstan, Russia, Uzbekistan, Malaysia, Thailand, Singapore, Philippines, Indonesia, Australia, New Zealand, Kerala, Trichy, Banglore, Chennai, Delhi, Jammu, Kolkata, Bhubneshwar, Baddi, Himachal Pradesh, Rajasthan, Pune, Nashik, Dhule, Solan, Kanpur, Coimbatore, Satna, Nagpur, Thane, Wada, Jaipur, Udaipur, Ahemdabad, Ludhiana, Hyderabad, Tamilnadu, Kolkata. 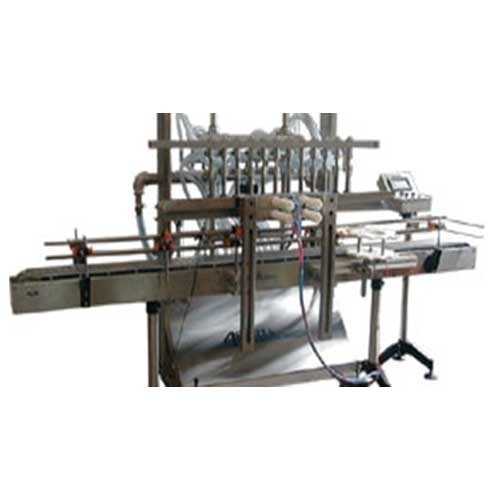 Our Machine suitable for Pharmaceuticals, Dairy, Distilleries & Breweries, Cosmetics & Food & Ancillaries Industries etc. The Bhagwati Rotary Bottle washing Machine is compact and highly efficient machine with elegant look. This multi functional multi featured machine meets the GMP requirements of washing for glass and plastic bottles. 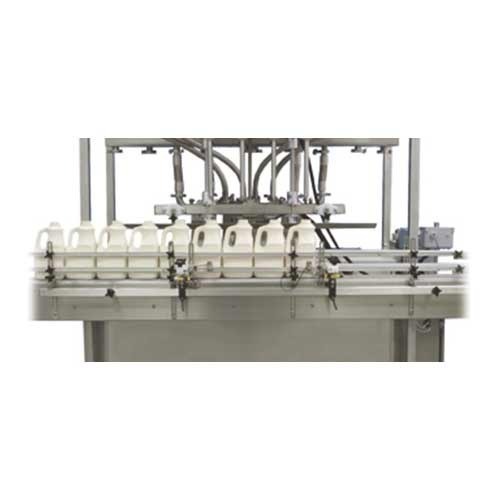 The machine operates on the Rotary principle with "GENEVA" mechanism and requires manual loading and unloading of bottles. The bottles are manual loaded and unload on rotating platform and are cleaned in series of operations. The bottles are hold in bottle holders that are specially designed to accommodate bottles with varying neck diameter and bottle diameter. The bottles are placed in an inverted position in these cup shaped holders. Spraying showers does the external cleaning of the bottles. Solenoid valves are provided to enable the regulation of wash timings and sequence of various washing media to suit specific requirement. 300 Ltrs/Hour Approx at 15 PSI. (Detergent Water). Minimum Consumption as such, water loss during recirculation shall be compensated. (Steam/Hot Water). 0.5HP/440 Volts/ 3Phase/ 50 Hz (Four wires) For Main Machine. 1 HP/440 Volts/ 3Phase/ 50 Hz (Four wires) For Water Pump. 70 Ltrs capacity water tank (Two Nos.). S.S. Elegantly Matt Finish Body. Solenoids valve to avoid leakage. 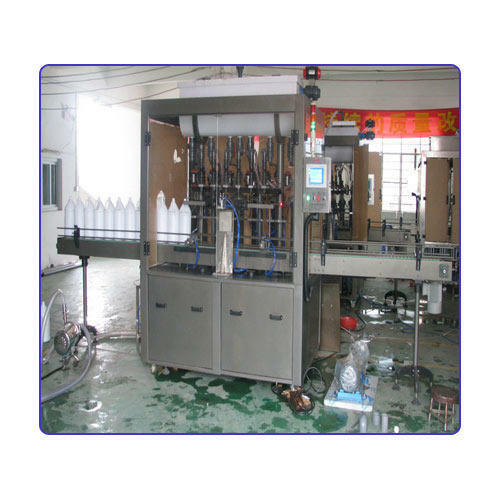 Being a well-established organization, we bring forth a qualitative assistance of Pesticides Liquid Bottle Filling Machine. Our state-of-the-art manufacturing unit helps us manufacture the best range of filling mixture. Moreover, the offered product is passed through a series of testing procedures under the strict inspection of our quality controllers. 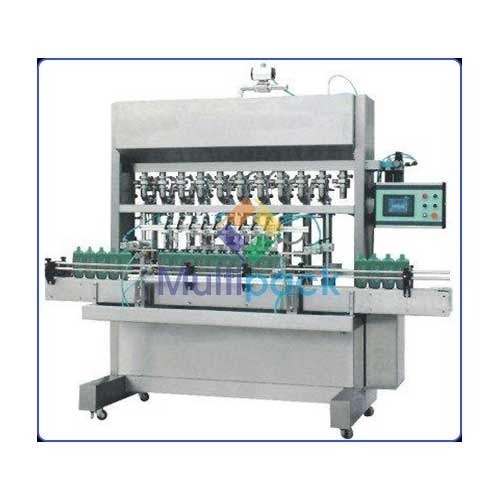 Also, we offer the machine in various technical specifications at industry leading prices. Output/Hour 1000 to 6000* Depends on size, shape and Neck Dia of container, Fill volume and nature of Pesticides etc. Number of head/syringe 8 Nos. Height of Conveyor 860 mm to 910 mm adjustable. Owing to our state-of-the-art manufacturing unit, we are offering a distinguished assortment of Insecticides Filling Machine. By keeping in mind current market developments, we manufactured the offered product under the supervision of adept professionals using well-tested components and high-end technology. Apart from this, our quality inspectors conduct a series of tests on the offered product ensuring its flawlessness. Clients can avail the entire range from us in various technical specifications at reasonable prices. 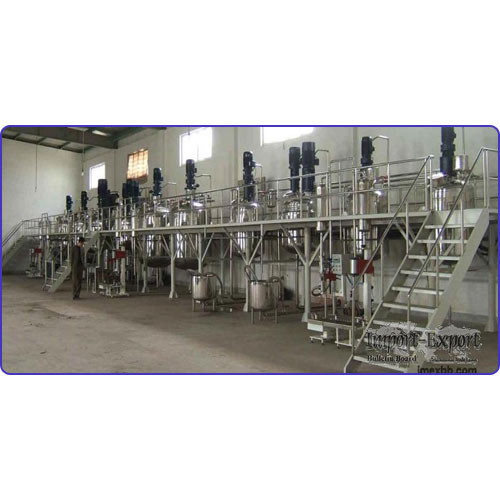 Facilitated by technically advanced process, we are manufacturing, exporting, importing and supplying a precision-engineered collection of Agro Chemicals Filling Machine. 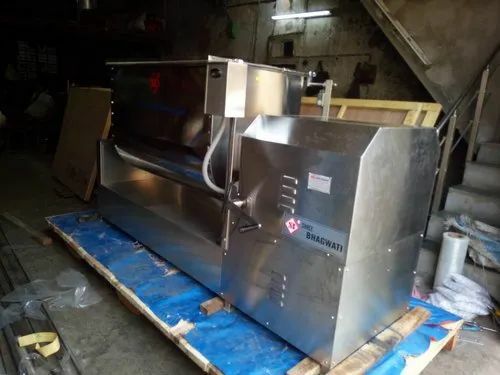 The offered filling machine is well known in the market, owing to its enhanced service life, low maintenance, performance-oriented design and high efficiency. 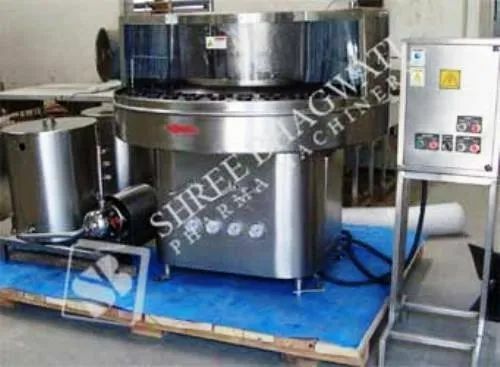 This Fully Automatic Vertical Form Fill Seal Machine is suitable for packing any free flowing Powder, Granules, Spices, Mehendi, Churn, Pharmaceutical Powder, Agricultural Powder, Ayurvedic Powder, Tea, Detergents, Chemicals, Kirana Items etc. These products are available in market at competitive rates. With the vast support of our team of professionals, our company is able to to manufacturing and supplying Flavors Filling Machine. By using qualitative metal and latest technology our experts produced these machines. We provide our range at very competitive price to our clients. Looking for “Chemical Filling Machine”?